"Los Angeles is one of the biggest cities in the world, but is incongruously a ten-minute drive from a vast impenetrable mountain wilderness, the Angeles National Forest. This 700,000-acre forest includes the San Gabriel Mountains, which are among the most treacherous and steep mountain ranges in the world. Every year, thousands of people get lost or injured hiking or skiing, get trapped in the abandoned mines that honeycomb the remote canyons, or drive their cars or motorcycles off the precipitous mountain roads that snake along cliff faces. Since 1947, a dedicated group of volunteers from the Crescenta Valley has been rescuing these hapless victims. 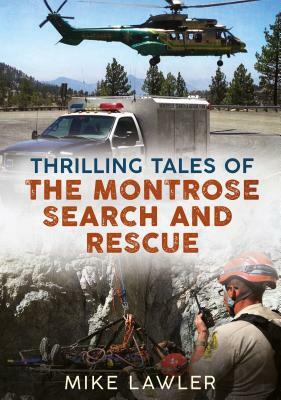 The Montrose Search and Rescue team is one of the oldest SAR groups in the nation, and among the most professional, despite receiving no pay for risking their lives. They perform search and rescue feats high on peaks, down in canyons, deep underground, in the snow and ice, and from the air. They have been called to travel nationwide to assist other SAR teams with less expertise. In their seventy years of service they have racked up thousands of thrilling rescues. Most of the stories are uplifting, but some will break your heart. These men are modern-day heroes, and they live right here in our community."